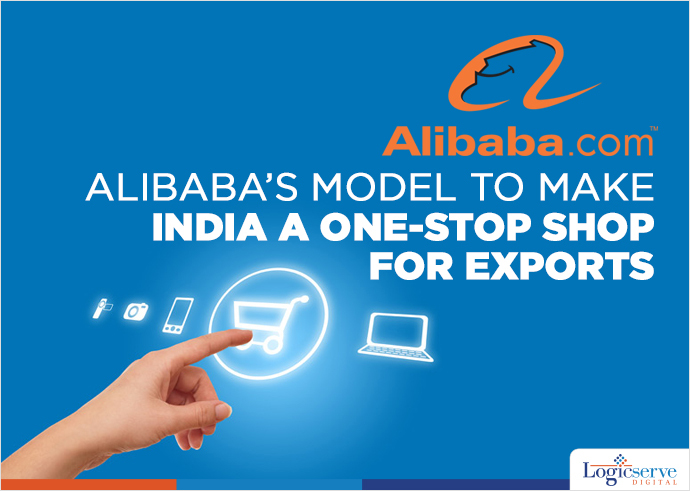 India plans to set up a B2B (Business-to-business) global ecommerce platform based on Alibaba’s ecommerce model. This platform will allow country’s exporters and manufacturers to sell products to the vendors abroad. This portal will make India a one-stop destination for exporters globally to buy products from needle to cars, that are value added or made in India. The proposed online portal will also provide sales services internationally. According to an official aware of this development said that this ambitious project will add brand equity to India as no other country has such a portal. The idea behind this initiative is to help Indian exporters have access to foreign markets making the country a sourcing hub. The official further added that this plan is also expected to revive the declining exports and egg on ‘Skill India’ and ‘Make in India’ initiatives by the central government. Government also wants to replicate Alibaba’s on time shipping of the products and quality standards on this platform. A trust established by the commerce department, India Brand Equity Foundation (IBEF), is constructing this portal and will maintain and own the digital property of the same. IBEF will launch B2B portal with at least one Lakh sellers and expand it up to 5 Lakh over a period of time. Further steps will be taken to train 40 Crore people by 2022. Weekend Digital Media Round-up: Updated Google Trends, Instagram’s new features, Youtube’s new feature ‘Reels’ and more..